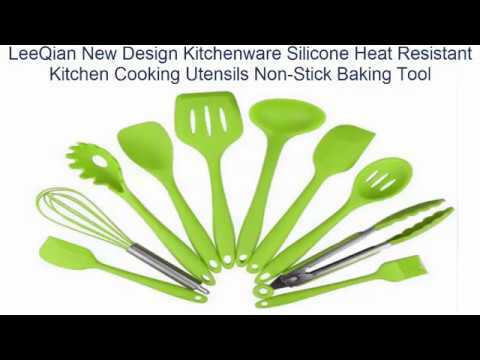 your kitchen tools matching with COOK with COLOR’S line of a large variety of stylish and classy kitchen utensils. COOK with COLOR – cook with flair! Fun and versatile cooking tools and gadgets! Set includes 1 10″ tongs and 1 10″ whisk with stainless steel metal handles and lavender accents- a colorful and stylish set that is comfortable and fun to use at the same time. Let the grilling begin with these high performance barbecue food tongs; use outdoors and at home as well while turning stakes, burgers, kabobs and hot dogs. Soft nonslip good grip handles and scalloped silicone heads and firm locking feature assures you have complete control while cooking. High performance whisk with a silicone over-mold over the whisk wires efficiently aerates, blends and quickly beats ingredients creating fluffy eggs and pancakes, superb vinaigrettes and peaked whips and desserts. Great as a gift for a party or a shower, this awesome kitchen gadget set is sure to delight your friends and family with its practical function and super fashionable and sleek look. Silicone tools allow for less buildup and mess and are easier to clean and wash. Ideal for nonstick cookware – food contact safe and heat resistant up to 400° F.